looking for new computer desk. Need suggestions! hello all. I am redoing my room and getting rid of the huge desk taking up space. 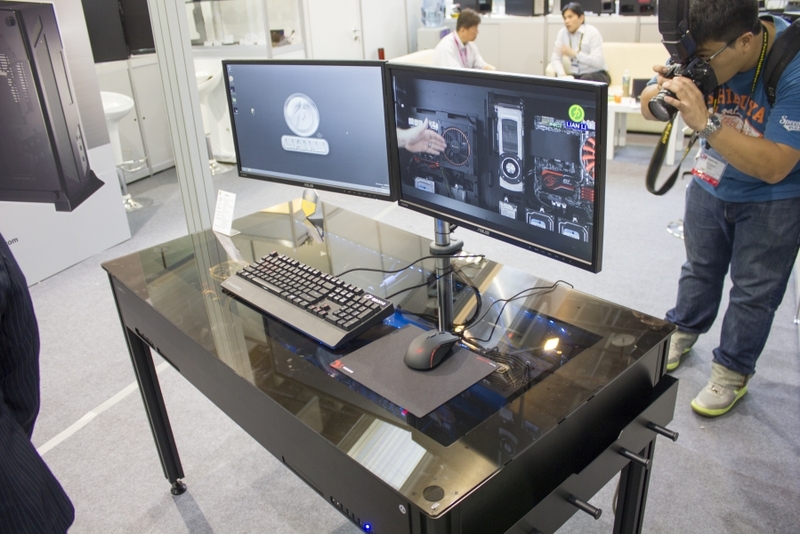 Looking for a smaller computer desk with some glass top and perhaps some drawers. I've been to staples and ikea but they are overpriced and very limited on the selections. Anyone know where else I can go around lower mainland? budget is around 100-250$ Thanks! im also in the same boat but would prefer one without a glass top. Honestly, check Craigslist.. seems there are always people looking to get rid of nice computer desks. Table with a computer case built in! they have a large show room near king ed and boundary, amazing selection, and actually very reasonable prices. They also have a large clearance section where some desks that were going for like $175-$300 would probably be 800+ at a staples etc. bought mine a large L type desk with cappucino veneer, it's very solid and worked perfect for what i needed it for. that computer desk is what we all need!! Selling this for $80 if anyone is interested. Few years old and assembled! 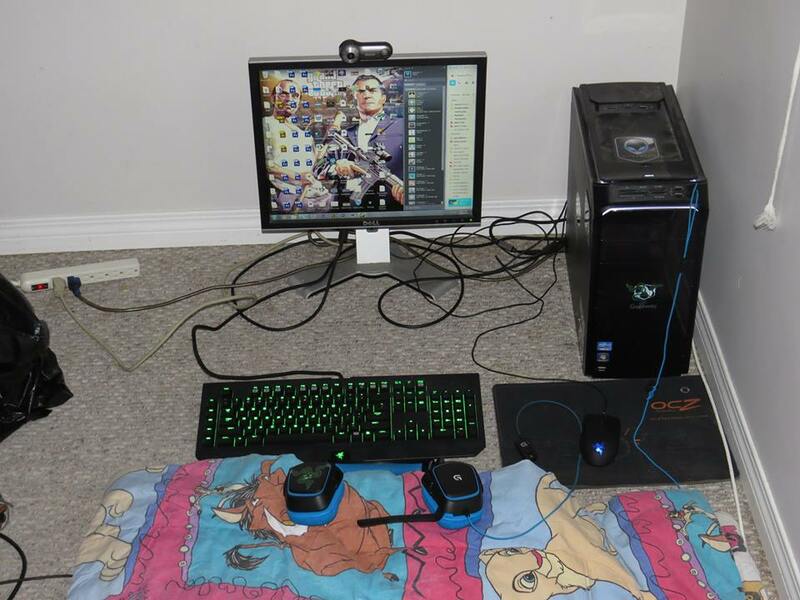 I copied this setup a couple years ago and it worked out well. Less than $150 iirc. Google ikea hacks or desk hacks - there are tons of ways to assemble various furniture pieces together to fit your needs. Say NO to blade grinders! Ikea is overpriced as per OP! Sweet! All glass just like OP wanted! SOLD! That being said, Ikea sold Glass Tables and Glass Desks. The glass desks were more money because they were for a specialized purpose. I don't really know of any differences between them though. So you can find a nice frosted Glass Table on craigslist from Ikea for less than $100. This one is great, comes with height adjustable legs. They're pretty universal when it comes to desks so down the road you can change it out to a wood desk or expand it if you wanted to using the same frame. damn awesome replies guys. 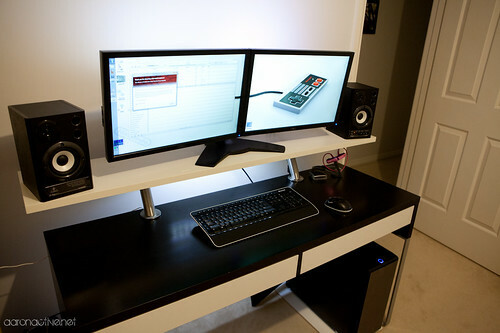 I think I can just saw part of my desk and shorten the length and add an upper shelf like those ones, unless I can find a nice white one like the above posts. Doesn't matter anymore if its glass or not haha. I was thinking glass would be more useful since I can have my paper work underneath and view them and not have my keyboard and work space area cluttered. DIY FTW, cheap parts! with a lion king blanket too. like a real baws! I don't like cheese but I love milk! "If someone has to pass you on the right, you are in the wrong lane." doesnt that hurt your back/neck laying down like that? Is that a Square monitor?